What resources do religious traditions offer for the articulation of the academic vocation as a religious vocation? What is the relation between academic and spiritual formation? 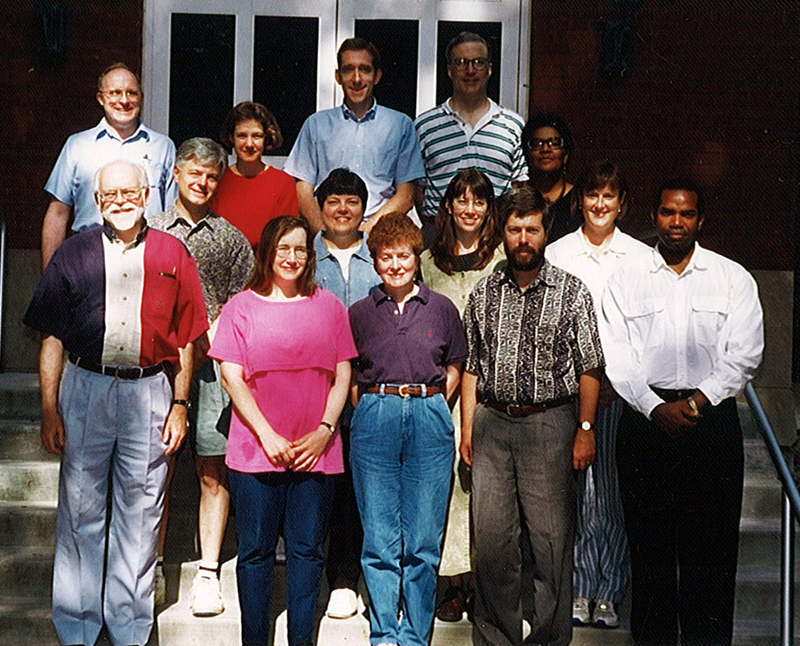 Front Row (Left to Right): Frederick Norris (Emmanuel School of Religion), Claire Mathews McGinnis (Loyola College in Maryland), Beverly Gaventa (Princeton Theological Seminary), Gordon Smith (Canadian Theological Seminary), Michael Battle (University of the South). Second Row: Clark Gilpin (University of Chicago Divinity School), Susan Simonaitis (Fordham University), *Stephanie Paulsell (University of Chicago Divinity School), Leanne Van Dyk (San Francisco Theological Seminary). Third Row: *Raymond Williams (Wabash Center), Lois Malcolm (Luther Seminary), Paul Griffiths (University of Chicago Divinity School), Paul Wadell (University of Scranton), Phillis Sheppard (Center for Religion and Psychotherapy). Not Pictured: *L. Greg Jones (Duke Divinity School), Bonnie Miller-McLemore (Vanderbilt University Divinity School), Rosemary Keller (Union Theological Seminary, NY).